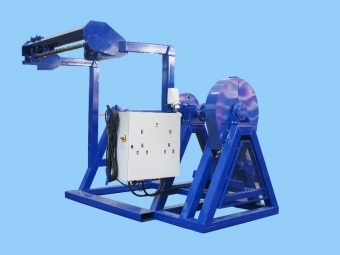 Coiled Tubing Spooling Unit (UPT) was designed to reel the coiled tubing with diameter of up to 88.9 mm on/off the reel drum of a Coiled Tubing unit for replacement of a worn-out or damaged pipe. Wellhead Platform PMS1 is used together with coiled tubing equipment and is designed for installation of BOP and coiled tubing injector on the production tree. Injector Support Substructure USO60 is designed for injector installation and is used as part of coiled tubing complex during well construction and servicing with coiled tubing.